The game launched in November, so the idea that it would go free-to-play seemed like a pretty extravagant admission of failure on Bethesda’s part. Given the gaming community’s general antipathy toward the title, that rumour got a fair bit of play on social media – though while Fallout 76 sales were unimpressive, they weren’t quite the disaster that would prompt such a massive change in business strategy. This rumour stems from a YouTube video that points to Australian EB Games‘ limited stock and and hefty sales on Fallout 76, along with anonymous tips that the retailer had been pulling physical copies from shelves. That led into broader speculation about whether the game would go free-to-play, which was in turn picked up widely enough that Bethesda felt the need to respond. You can see that response directly on Twitter, as noted by Game Informer. While this rumour can be filed as bunk, you can still enjoy all sorts of credible reasons to dislike Fallout 76, from delayed PC features to nuke-ruining bugs, or look forward to whatever changes come in 2019’s updates, including player vending. And hey, some players have still felt fondly enough about it to host in-game weddings. 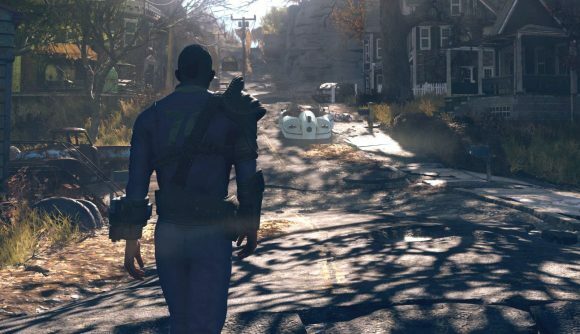 Fallout 76 may someday go free-to-play, but it’s not likely in the near future. Bethesda still has plenty to prove to fans, but at least it won’t come along with demands of $60 refunds.